Ditto is an amazing Pokemon and I can’t wait to be able to catch him, or use him in the game. Also curious how he will work within Pokemon Go. 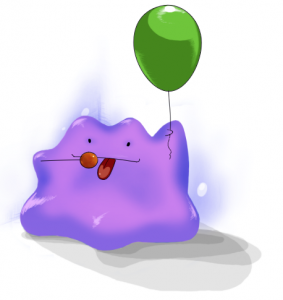 Ditto rearranges its cells to transform itself into other shapes. However, if it tries to transform itself into something by relying on its memory, this Pokémon manages to get details wrong.